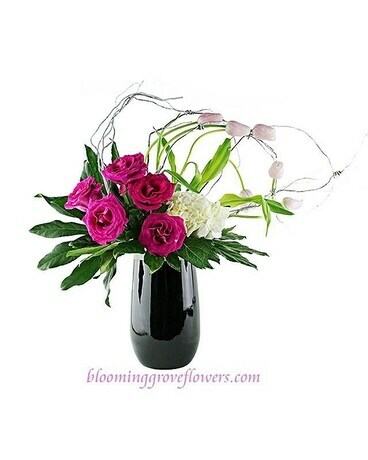 Roses, hydrangea, tulips (when in season), monstera or fatsia leaves, decorated by willow branches, in a glass vase. Flowers and containers subject to change based on season and availability. However we will create something similar. Please call to discuss.